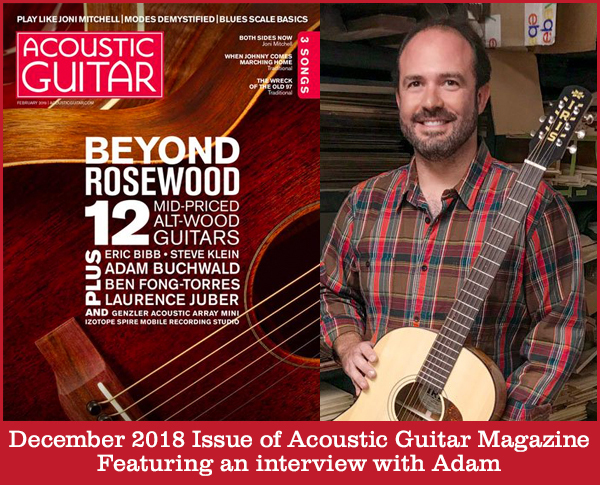 Adam Buchwald was interviewed for the December 2018 issue of Acoustic Guitar magazine. He talked about both Iris Guitars and Circle Strings and you won’t want to miss a word. Click the image above to read the story. Adam Buchwald was the featured guest on the October 2018 podcast by the Fretboard Journal. Adam talked about getting started as a luthier, the beginnings of Circle Strings, and the launch of Iris Guitar Company. Click the image above to take you to the podcast. Located in beautiful Burlington, Vermont, Iris Guitars began way back in 2018 as a division of Circle Strings. By using super futuristic manufacturing techniques and space age technology, along with years of knowledge and experience, Iris is able to hone in on the design and construction process of fine guitar building while limiting the styles and options available to bring you both the highest of quality at an affordable price. In fact, you're probably going to want two Iris Guitars at this rate. Please let us know if you have any further questions or press inquiries.